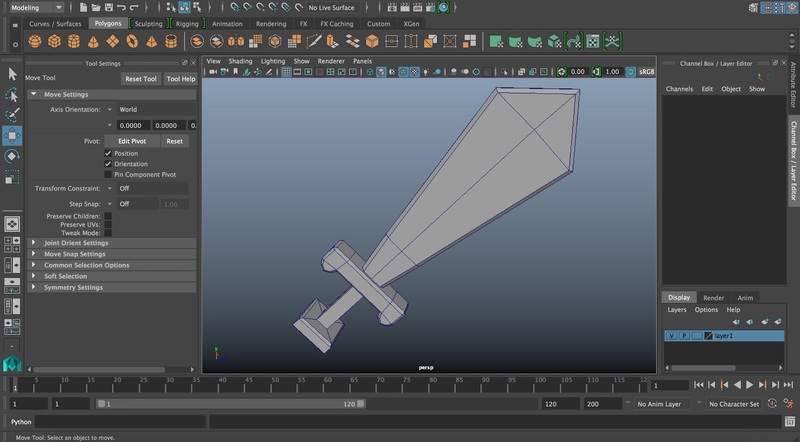 In this article, I will explain how to model a sword and the basic functions to be used while showing basic operations on Maya. 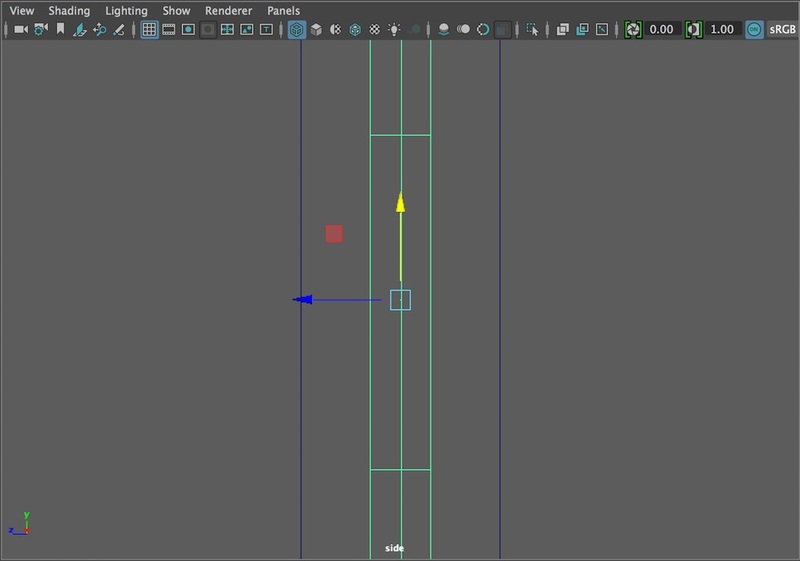 This time, we use Maya2016. The primitives shown above are available by default. 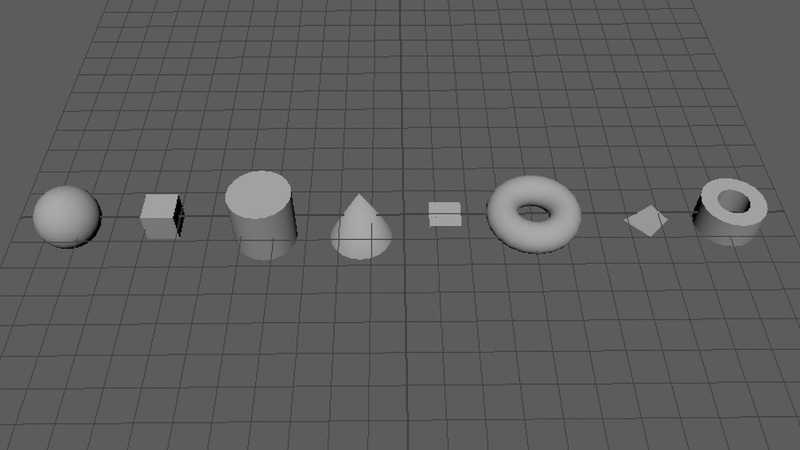 From the left, they are Sphere, Cube, Cylinder, Cone, Plane, Torus, Pyramid and Pipe. We model with those primitives. Sphere, Cube and Plane are used frequently in general. By the way, we use Cube only to model a sword this time. 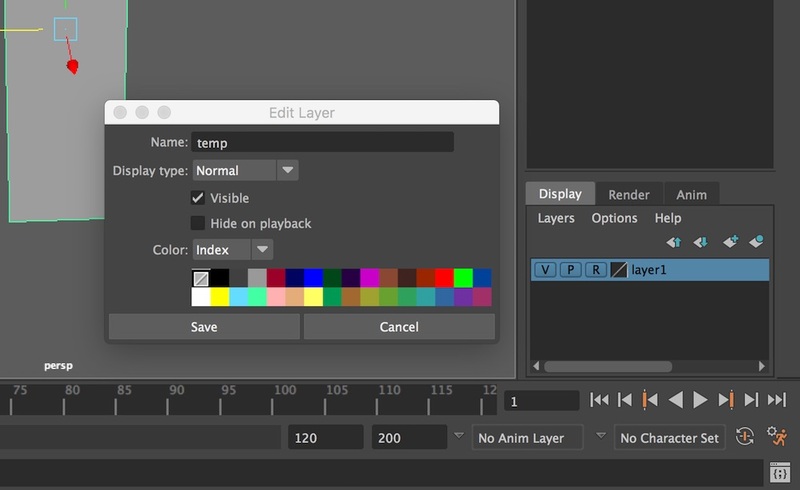 We create layers by Layer Editor in the bottom-right corner of the screen. In Layer Editor, you can toggle the visibility for each layer in addition to switching the display mode to ‘template’ or ‘reference’. It helps you to manage your modelling task even for a complicated model. 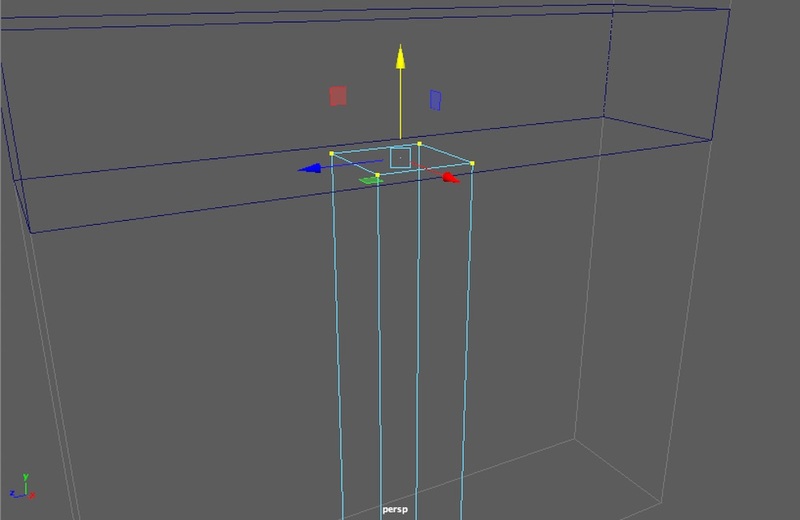 In the Component mode, you can snap a move to vertices with the V key held down. I found it useful for precise adjustment. When snaping a move, the accuracy could be improved by adjusting the view to a suitable angle. 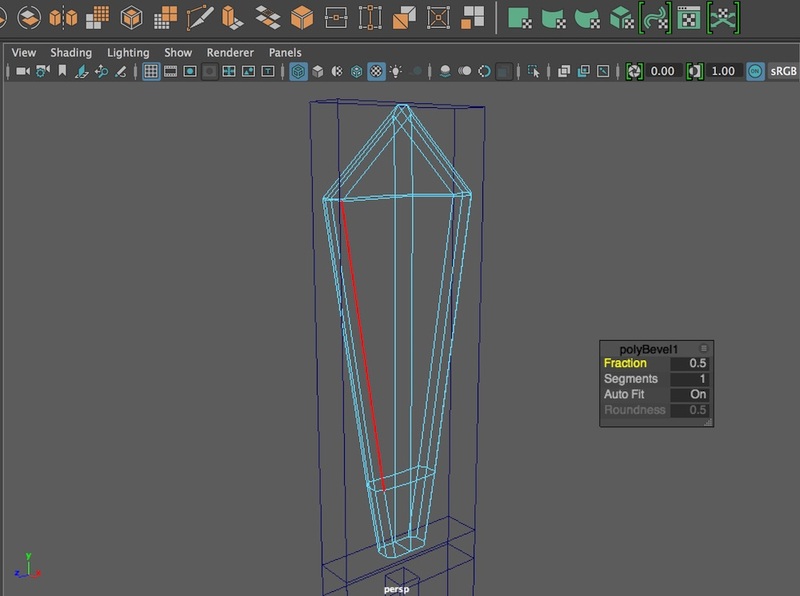 Select Mesh Tools > Insert Edge Loop. 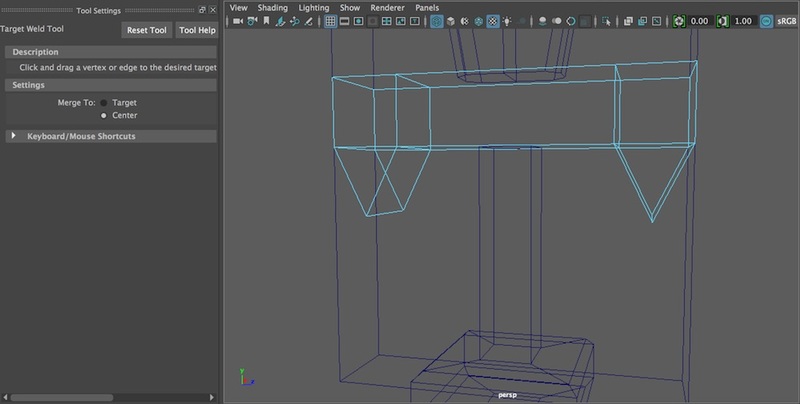 You can insert edges anywhere on the mesh. It’s also frequently used. 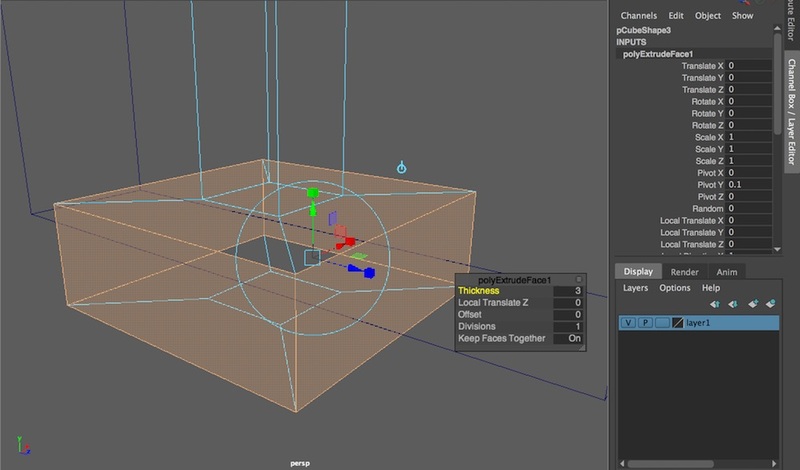 Select Edit Mesh > Merge to Center. It merges the selected vertices to the centre point of them. If you want to repeat the same action, press the ‘G’ key to repeat the last action. 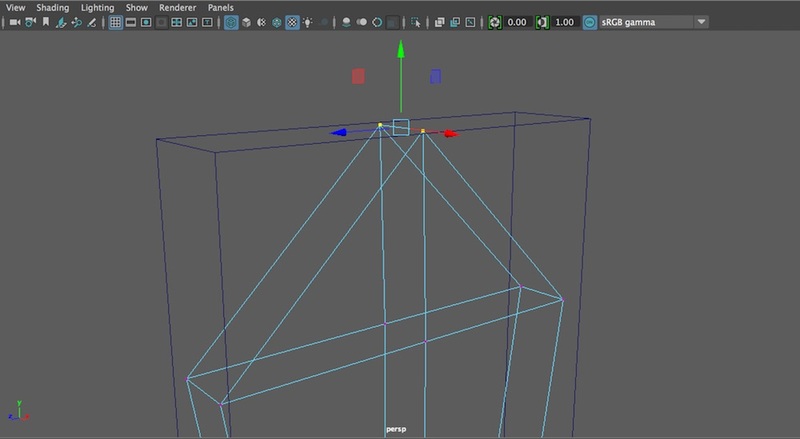 Select Edit Mesh > Bevel. It bevels the selected edge. Now I have introduced all the functions you need to model the blade. It extrudes the selected face. It’s useful to model the unevenness on surfaces. Select Mesh Tool > Target Weld. Merge the selected edges to the centre point of them. 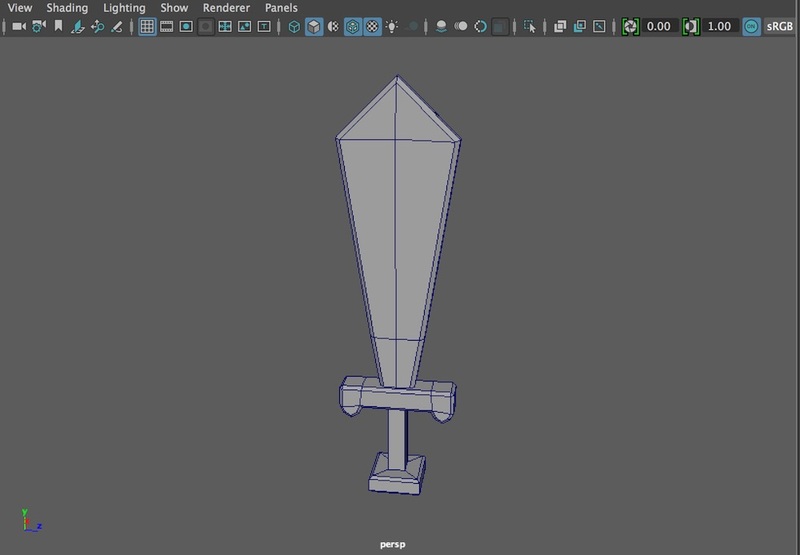 The modelling of a sword is completed. Insert Edge Loop, Merge to Center, Bevel, Extrude and Target Weld. Get used to those basic functions. They will make your modelling work easier for sure. Have you got an idea what is the modelling like? If you start with still-life things around you such as furniture, accessories, etc., you could understand the structure of objects and could get used to the operations. So it’s a good way to start modelling.